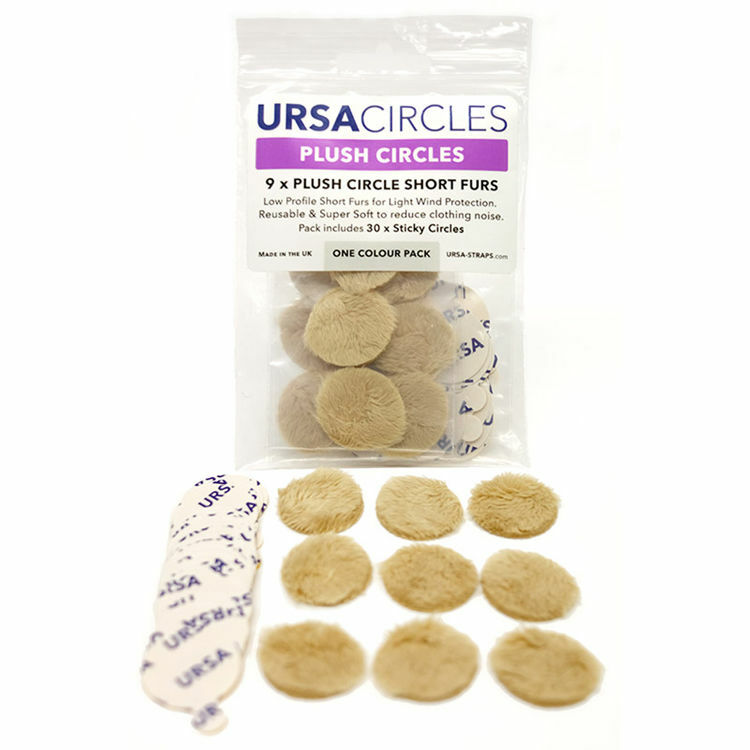 This pack of Remote Audio URSA Plush Circles are 5mm-thick fur LAV covers. They are designed to help you disguise a lav mic on clothing, reduce cloth noise, and protect mic capsules from light winds, zephyrs, or breezes. Each circle measures 1" in diameter and is reusable. 9 plush circles are included in this pack. They are beige in color, and are designed to blend in with clothing of that hue. Box Dimensions (LxWxH) 4.6 x 3.35 x 0.65"